Discover an approach and learn new useful tools to create progress with teams. The SolutionCircle support teams to reach their goals and handle challenges constructively and appreciatively even in unstable situations. Get equipped to bring out the greatness of a team so they can bring this greatness to the world. Solution Focused Team Coaching focuses on developing solutions and practical steps to execute in the daily business. By concentrating on the skills and competencies of the team members and progress is built on their resources. During the two days, you are introduced to an approach that will help you handle complex situations in teams, and enable team members to use their resources to support sustainable development within the team. a manager, team leader, coach or a consultant and work with teams on a regular basis. You want to broaden your repertoire of ways to be even more flexible and professional in your work. Supporting your daily work Solution Focused Team Coaching offers a fast, efficient and sustainable way to optimize resources, reach goals and make progress visible within a team. D.kr. 4.200 + VAT (D.kr. 5.250) incl. refreshments and meals both days. 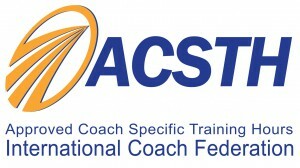 The two days will be documented with 14 ACSTH units. With a background in philology and educational sciences, she has worked independently since 1995. 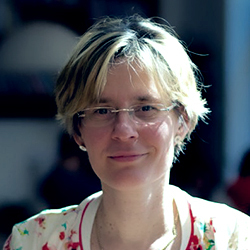 Based and working in Switzerland, she is leading Solutionsurfers Hungary and has offered coach training in Hungary since 2010, with activities in consultancy and book publishing. After many years of work in the business environment, Katalin started her PhD studies to bridge her experiences with the academic world. Her primary interest is how we learn from our work and how we can make useful what we have learned, for the next client.